As March unfolded, I felt a strong and growing need to get offline for an extended “e-fast” again. I periodically take these breaks from the noise of the online world to just rest, or reflect, pray, and gain clarity for next steps in life. After hosting the online telesummit in February for my general consulting work, and keeping up with the follow up after it, I found myself wanting more and more to focus on the offline ministry partner development (MPD) work for our move to the UK, which Fred had been doing almost exclusively up to that point. So, I unplugged from April 1st through Resurrection Sunday to pray and seek direction. I came out of that time with a clear sense of needing to reduce the number of hours spent in my overall business so that I could join Fred in the MPD work. Going forward, at least for now, I will be doing little to no general consulting work, but I am still 100% committed to serving my Miessence customers and team of reps – both existing and new. Exciting shifts are beginning to take place in my business that I have always dreamed of but never would have guessed would be happening so soon. More on that in another post someday perhaps, but for now, I just want to be clear, because people have been asking me – Yes, I am still committed to serving new and existing customers and reps in my Miessence business. For the last couple weeks, on top of more MPD appointments, year-end school activities for kids, a celebration night for our ministry team, we have been tackling perhaps the biggest project of all… purging and packing up our house. We’ve actually had to take this week and next pretty much completely off from appointments, and my email has a vacation reply set, to focus on the packing and moving. This is the home I grew up in from the age of 6 months, so needless to say, there has been much to sort through on the tangible physical levels as well as the emotional spiritual levels. 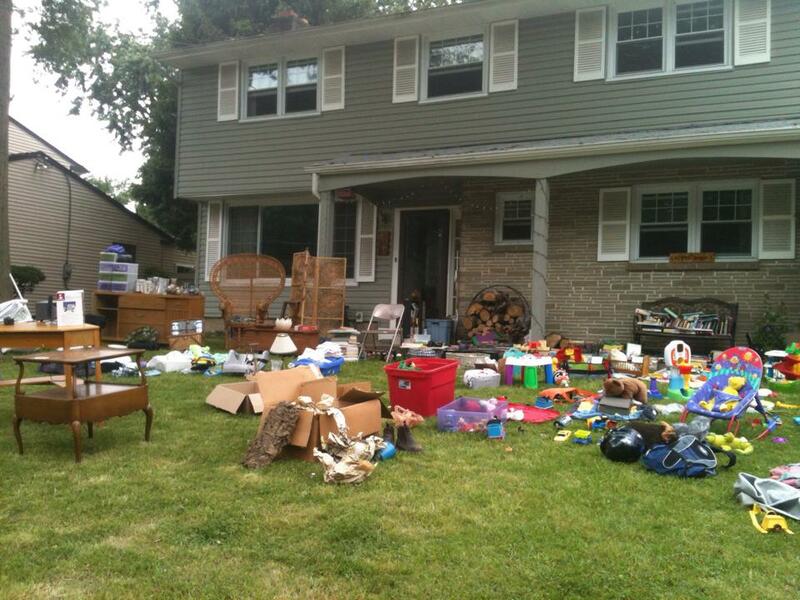 We had a huge yard sale last weekend and this weekend we are moving out! Yikes! One morning this week, I just sat on my front step for a half hour or so crying, praying, and blowing bubbles – remembering being a three year old here myself, then inviting my three year old to come outside and chase the bubbles with me. Happy tears and sad tears. Normal grieving and processing, making me that much more thankful for the past and excited for the future. The official move out date is Sunday since the kids start summer camp in my parents’ town on Monday, but next week will be a transition week, with us breaking down furniture and staging things in the garage that will ultimately go on the shipping container, while my sister and her husband are moving their things in to the house. We’ll be with my folks for July, Fred’s mom for August, then Lord willing, traveling and taking a month-long cross-cultural family preparation course in North Carolina during September and early October. We are hoping and praying to be on the plane to England by the end of October. So yeah, I never did get on the ball with my “Faith Friday” posts. Maybe someday, but at this moment I have no idea when. I feel like there are so many thoughts I want to write about, but for this season, I can only manage the occasional, more tangible, ‘family happenings’ update post. If you want more regular updates on our journey into full-time ministry work overseas, you can subscribe here for our monthly email updates. I must get back to work, but thank you all for your love, prayers, and support. To everyone who has prayed, helped in some tangible way, bought items from our massive moving sale, chosen to partner with us financially in this ministry work… Thank you! 🙂 And many thanks again to my Miessence customers and reps for your continued business – my family and I greatly appreciate it. I may be slow on email replies for the next couple weeks during the moving and transitions, but please know that I am, with God’s help, still 100% committed to serving you to the best of my ability.